DAKAR (AFP).- A museum showcasing black heritage from the dawn of time to the modern era opened in the Senegalese capital Dakar on Thursday. The opening came as African countries press harder for the restitution of artwork from their former colonial masters — and as France made its first steps in that direction, pledging to return artworks to Benin. 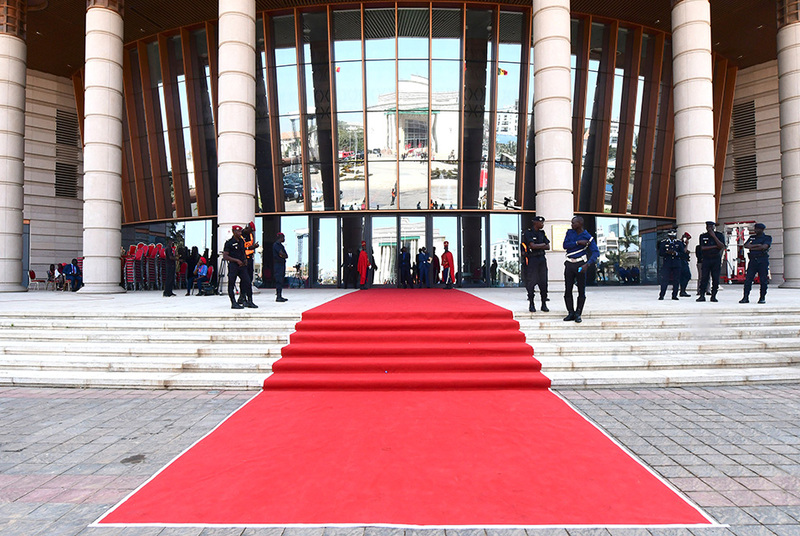 The Museum of Black Civilisations will foster the “dialogue of cultures” and offer a “new view of Africa and its diaspora, which recognises our part in the great human adventure,” Senegalese President Macky Sall said as he opened the museum. “Today rekindles in us the precursors of pan-Africanism and African identity,” Sall said after cutting the symbolic ribbon at the ceremony. Among the guests was Chinese Culture Minister Luo Shugang, whose country financed the project to the tune of 30 million euros ($34 million). Both Bocoum and the museum’s lead scientist Ibrahima Thioub said the collection, which includes megaliths dating back more than 1,700 years ago alongside contemporary art, would both honour the past and look to the future. It should not be “a place of nostalgia but a crucible of creativity, a factory of self-esteem,” said Thioub, rector of Dakar’s Cheikh-Anta-Diop University. Such a museum was the dream of Senegal’s first president Leopold Sedar Senghor, among the drivers of the Negritude literary movement born in the 1960s. The poet, who was Senegal’s president from 1960 to 1980, spoke of it at the first World Festival of Black Arts, held in Dakar in 1966. The museum is among several new — or overhauled — facilities springing up around Africa that bolster growing demands for the restitution of artworks spirited out of the continent since colonial times. In a reflection of the museum’s embrace of the ages, Thursday’s ceremony was followed by a show featuring traditional music and dance as well as rap and slam performances.